Our Fitness Room will be closed June 13 - 24- 2016 due to renovations. We apologize for any inconvenience this may cause. Welcome to the Embassy Suites Cleveland - Beachwood hotel. Our hotel is conveniently located off of Route 271 and only 11 miles from downtown Cleveland Ohio. Close by are many of the area*s best shopping and corporate headquarters. The Embassy Suites Cleveland - Beachwood hotel offers a complimentary shuttle service within a 5 mile radius. Some of the attractions within that radius are Beachwood Place Mall Legacy Village and Eaton Collection Mall. Eaton Progressive Insurance BASF GE Rockwell Automation OMNOVA Solutions Parker Hannifin Phillips Medical Penske Tremco Swagelok Materion Tarkett Nestle DDR University Hospitals Cleveland Clinic Aleris Kraftmaid Great Lakes Cheese Gebauer Lubrizol Kaiser Fidelity John Carroll University and Corporate College are all within a few miles of the hotel. Guests of the Embassy Suites Cleveland - Beachwood hotel enjoy our famous complimentary made to order breakfast as well as our nightly Reception. The hotel also offers complimentary parking and high-speed Internet service. Here is a short list of other attractions to consider during your stay at the hotel Quicken Loans Arena - home of LeBron James and the Cleveland Cavaliers Progressive Field - home of the Cleveland Indians Hard Rock Rocksino at Northfield Park Thistle Downs Racino Horseshoe Casino Rock and Roll Hall of Fame and Museum Cleveland Browns Stadium Maltz Museum Aurora Farms Premium Outlets and Pro Football Hall of Fame. 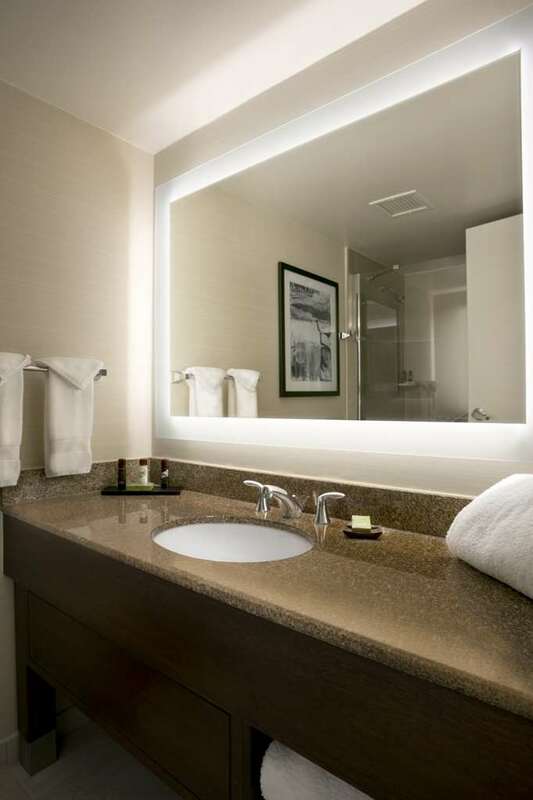 Please click on the accommodations link below to see the amenities that are included or available with your stay at Embassy Suites Cleveland - Beachwood. Park East Grill: Park East Grill was the winner of the *Taste of Beachwood* Peoples Choice Award. Park East Grill offers regional favorites along with the best steaks fish and salads you will find in the area.